A centenarian Ernst Jünger, wearing both the Pour le Mérite and the Bavarian Maximilian Order. Ernst Jünger (29 March 1895 – 17 February 1998) was a highly decorated German soldier, author, and entomologist who became famous for his World War I memoir Storm of Steel. The son of a successful businessman and chemist, Jünger rebelled against an affluent upbringing and sought adventure in the Wandervogel, before running away to briefly serve in the French Foreign Legion, an illegal act. Because he escaped prosecution in Germany due to his father's efforts, Jünger was able to enlist on the outbreak of war. During an ill-fated German offensive in 1918 Jünger's World War I career ended with the last and most serious of his many woundings, and he was awarded the Pour le Mérite, a rare decoration for one of his rank. In the aftermath of World War II Jünger was treated with some suspicion as a possible fellow traveler of the Nazis. By the latter stages of the Cold War his unorthodox writings about the impact of materialism in modern society were widely seen as conservative rather than radical nationalist, and his philosophical works came to be highly regarded in mainstream German circles. Jünger ended his extremely long life as an honoured establishment figure, although critics continued to charge him with the glorification of war as a transcending experience. Ernst Jünger was born in Heidelberg as the eldest of six children of the chemical engineer Ernst Georg Jünger (1868–1943) and of Karoline Lampl (1873–1950). Two of his siblings died as infants. His father acquired some wealth in potash mining. He went to school in Hannover from 1901 to 1905, and during 1905 to 1907 to boarding schools in Hannover and Braunschweig. He rejoined his family in 1907, in Rehburg, and went to school in Wunstorf with his siblings during 1907 to 1912. During this time he developed his passion for adventure novels and for entomology. He spent some time as an exchange student in Buironfosse, Saint-Quentin in September 1909. With his younger brother Friedrich Georg Jünger (1898–1977) he joined the Wandervogel movement in 1911. His first poem was published with the Gaublatt für Hannoverland in November 1911. By this time, Jünger had the reputation of a budding poet bohemian. In November 1913, Jünger, now a student at Hameln gymnasium, signed up with the French Foreign Legion at Verdun for a five-year period. Stationed in a training camp at Sidi Bel Abbès, Algeria, he escaped to Morocco, but was captured and returned to camp. Six weeks later, he was dismissed due to the intervention of the German Foreign Office (instigated by his father), on grounds of being a minor. Jünger was now sent to a Hannover boarding school, where he was seated next to the later communist leader Werner Scholem (1895–1940). Jünger during World War I, wearing the House Order of Hohenzollern. On 1 August 1914, shortly after the start of World War I, Jünger volunteered with the 73rd Infantry Regiment Albrecht von Preußen of the Hannoverian 19th Division and after training was transported to the Champagne front in December. He was wounded for the first time in April 1915. During reconvalesce, he decided to enlist as an officer aspirant (Fahnenjunker), and he was promoted to Lieutenant on 27 November 1915. As platoon leader, he gained a reputation for his combat exploits and initiative in offensive patrolling and reconnaissance. The platoon was relieved but Jünger was wounded by shrapnel in the rest area of Combles and hospitalized, his platoon reoccupied the position on the eve of the Battle of Guillemont and was obliterated in a British offensive. He was wounded for the third time in November 1916, and awarded the Iron Cross First Class in January 1917. In the spring of 1917, he was promoted to command of 7th company and stationed at Cambrai. Transferred to Langemarck in July, Jünger's actions against the advancing British included forcing retreating soldiers to join his resistance line at gunpoint. He arranged the evacuation of his brother Friedrich Georg, who had been wounded. In the Battle of Cambrai (1917) Jünger sustained two wounds, by a bullet passing through his helmet at the back of the head, and another by a shell fragment on the forehead. He was awarded the House Order of Hohenzollern. While advancing to take up positions just before Ludendorff's Operation Michael on 19 March 1918, Jünger was forced to call a halt after the guides lost their way, and while bunched together half of his company were lost to a direct hit from artillery. Jünger himself survived, and led the survivors as part of a successful advance but was wounded twice towards the end of the action, being shot in the chest and less seriously across the head. After reconvalescence, he returned to his regiment in June, sharing a widespread feeling that the tide had now turned against Germany and victory was impossible. On 25 August he was wounded for the seventh and final time near Favreuil, being shot through the chest while leading his company in a German advance that was quickly overwhelmed by a British counter-attack. Becoming aware the position he was lying in was falling, Jünger rose, and as his lung drained of the blood spurting through the wound, recovered enough to escape in the confused situation. He made his way to a machine gun post that was holding out, where a doctor told him to lie down immediately. Carried to the rear in a tarpaulin, he and the bearers came under fire, killing the doctor. A soldier who tried to take Jünger on his shoulders was killed after a few yards, but another took his place. Jünger received the Wound Badge 1st Class. While he was treated in a Hannover hospital, on 22 September he received notice of being awarded the Pour le Mérite on the recommendation of division commander Johannes von Busse. 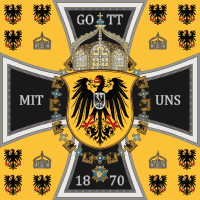 Pour le Mérite, the highest military decoration of the German Empire, was awarded some 700 times during the war, but almost exclusively to high-ranking officers (and seventy times to combat pilots); Jünger was one of only eleven infantry company leaders receiving the order. Throughout the war, Jünger kept a diary, which would become the basis of his 1920 Storm of Steel. He spent his free time reading the works of Nietzsche, Schopenhauer, Ariosto and Kubin, besides entomological journals he was sent from home. During 1917, he was collecting beetles in the trenches and while on patrol, 149 specimens between 2 January and 27 July, which he listed under the title of Fauna coleopterologica douchyensis ("Coleopterological fauna of the Douchy region"). Ernst Jünger in uniform as depicted in the frontispiece of the 3rd edition of In Stahlgewittern (1922). Jünger served as a lieutenant in the army of the Weimar Republic until his demobilisation in 1923. He studied marine biology, zoology, botany, and philosophy, and became a well-known entomologist. In Germany, an important entomological prize is named after him: the Ernst-Jünger-Preis für Entomologie. His war experiences described in Storm of Steel (German title: In Stahlgewittern) which Jünger self-published in 1920, gradually made him famous. He married Gretha von Jeinsen (1906–60) in 1925. They had two children, Ernst Jr. (1926–44) and Alexander (1934–93). As a famous war hero and prominent nationalist critic of the Weimar Republic, the ascendant Nazi Party (NSDAP) courted Jünger as a natural ally, but Jünger rejected such advances. When Jünger moved to Berlin in 1927, he rejected an offer of a seat in the Reichstag for the NSDAP. In 1930, he openly denounced Hitler's suppression of the Rural People's Movement. In the edition of 22 October 1932 of Völkischer Beobachter, the article Das endlose dialektische Gespräch ("the never-ending dialectical debate") attacked Jünger for his rejection of the "blood and soil" doctrine, accusing him of being an "intellectualist" and a liberal. Jünger again refused a seat offered to him in the Reichstag following the Nazi Party's ascension to power in January 1933, and he refused the invitation to head the German Academy of Literature (Die deutsche Akademie der Dichtung). On 14 June 1934, Jünger wrote a "letter of rejection" to the Völkischer Beobachter, the official Nazi newspaper, in which he requested that none of his writings be published in it. Jünger also refused to speak on Joseph Goebbels's radio. He was one of the few "nationalist" authors whose names were never found on the frequent declarations of loyalty to Hitler. He and his brother Friedrich Georg quit the "Traditionsverein der 73er" (veteran's organization of the Hanoverian regiment they had served during World War I) when its Jewish members were expelled. When Jünger left Berlin in 1933 his house was said to have been searched by the Gestapo. On the Marble Cliffs (1939, German title: Auf den Marmorklippen), a short novel in the form of a parable, uses metaphor to describe Jünger's negative perceptions of the situation in Hitler's Germany. He served in World War II as an army captain. Assigned to an administrative position in Paris, he socialized with prominent artists of the day such as Picasso and Jean Cocteau. His early time in France is described in his diary Gärten und Straßen (1942, Gardens and Streets). He was also in charge of executing younger German soldiers who had deserted. Jünger had been interested in learning how a person reacts to death under such circumstances and had a morbid fascination for the subject. Jünger appears on the fringes of the Stauffenberg bomb plot. He was clearly an inspiration to anti-Nazi conservatives in the German Army, and while in Paris he was close to the old, mostly Prussian, officers who carried out the assassination attempt against Hitler. He was only peripherally involved in the events however, and in the aftermath suffered only dismissal from the army in the summer of 1944, rather than execution. His elder son Ernst Jr., then a naval (Kriegsmarine) cadet, was imprisoned that year for engaging in "subversive discussions" in his Wilhelmshaven Naval Academy. Transferred to Penal Unit 999, he was killed near Carrara in occupied Italy on 29 November. After the war, Jünger was initially under some suspicion for his nationalist past, and he was banned from publishing in Germany for four years by the British occupying forces because he refused to submit to the denazification procedures. His work The Peace (German title: Der Friede), written in 1943 and published abroad in 1947, marked the end of his involvement in politics. When German Communists threatened his safety in 1945, Bertolt Brecht instructed them to "Leave Jünger alone." His public image rehabilitated by the 1950s, he went on to be regarded as a towering figure of West German literature. West German publisher Klett put out a ten-volume collected works (Werke) in 1965, extended to 18 volumes 1978–1983. This made Jünger one of just four German authors to see two subsequent editions of their collected works published during their lifetime, alongside Goethe, Klopstock and Wieland. His diaries from 1939 to 1949 were published under the title Strahlungen (1948, Reflections). In the 1950s and 1960s, Jünger travelled extensively. His first wife, Gretha, died in 1960, and in 1962 he married Liselotte Lohrer. He continued writing prodigiously for his entire life, publishing more than 50 books. 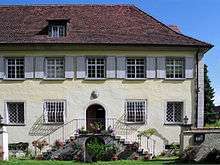 Ernst Jünger House in Wilflingen. Jünger was a friend of Martin Heidegger. Jünger was admired by Julius Evola who published a book called L'Operaio nel pensiero di Ernst Juenger (1960), in which he summarized The Worker. Jünger was among the forerunners of magical realism. His vision in The Glass Bees (1957, German title: Gläserne Bienen), of a future in which an automated machine-driven world threatens individualism, could be seen as science fiction. A sensitive poet with training in botany and zoology, as well as a soldier, his works in general are infused with tremendous details of the natural world. Throughout his life he had experimented with drugs such as ether, cocaine, and hashish; and later in life he used mescaline and LSD. These experiments were recorded comprehensively in Annäherungen (1970, Approaches). The novel Besuch auf Godenholm (1952, Visit to Godenholm) is clearly influenced by his early experiments with mescaline and LSD. He met with LSD inventor Albert Hofmann and they took LSD together several times. Hofmann's memoir LSD, My Problem Child describes some of these meetings. Jünger (left) and his wife Liselotte at a reception of the President of the Bundestag, Philipp Jenninger in 1986. One of the most important contributions of Jünger's later literary production is the metahistoric figure of the Anarch, an ideal figure of a sovereign individual, conceived in his novel Eumeswil (1977), which evolved from his earlier conception of the Waldgänger, or "Forest Fleer" by influence of Max Stirner's conception of the Unique (der Einzige). In 1981, Jünger was awarded the Prix mondial Cino Del Duca. Jünger was immensely popular in France, where at one time 48 of his translated books were in print. In 1984, he spoke at the Verdun memorial, alongside his admirers, French president François Mitterrand and German chancellor Helmut Kohl. Although he had been fully cleared of the accusation of any fascist or Nazi sympathies since the 1950s, and he never showed any sympathy to the political style of "blood and soil" popular in the Third Reich, Jünger's national conservativism and his ongoing role as conservative philosopher and icon made him a controversial figure in the eyes of the German Marxist Left, and Huyssen (1993) argued that nevertheless "his conservative literature made Nazism highly attractive", and that "the ontology of war depicted in Storm of Steel could be interpreted as a model for a new, hierarchically ordered society beyond democracy, beyond the security of bourgeois society and ennui". Marxist writer and critic Walter Benjamin wrote "Theories of German Fascism" (1994) as a review of War and Warrior, a collection of essays edited by Jünger. Despite the ongoing political criticism of his work, Jünger said he never regretted anything he wrote, nor would he ever take it back. Jünger joined Chancellor Helmut Kohl and President François Mitterrand of France at a 1984 Franco-German ceremony at Verdun, France, where he called the "ideology of war" in Germany before and after World War I "a calamitous mistake". His younger son Alexander, a physician, committed suicide in 1993. Jünger's 100th birthday on 29 March 1995, was met with praise from many quarters, including the socialist French president François Mitterrand. A year before his death, Jünger converted to Catholicism and began to receive the Sacraments. He died on 17 February 1998 in Riedlingen, Upper Swabia, aged 102 years. He was the last living bearer of the military version of the order of the Pour le Mérite. Ernst Jünger's photobooks are visual accompaniments to his writings on technology and modernity. The seven books of photography Jünger published between 1928 and 1934 are representative of the most militaristic and radically right wing period in his writing. Jünger's first photobooks, Die Unvergessenen (The Unforgotten, 1929) and Der Kampf um das Reich (The Battle for the Reich, 1929) are collections of photographs of fallen World War I soldiers and the World War front, many that he took himself. He also contributed six essays on the relationship between war and photography in a photobook of war images called Das Antlitz des Weltkrieges: Fronterlebnisse deutscher Soldaten (The Face of the World War: Front Experiences of German Soldiers, 1930) and edited a volume of photographs dealing with the first world war, Hier spricht der Feind: Kriegserlebnisse unserer Gegner (The Voice of the Enemy: War Experiences of our Adversaries, 1931). Jünger also edited a collection of essays, Krieg und Krieger (War and Warriors, 1930, 1933) and wrote the foreword for a photo anthology of airplanes and flying called Luftfahrt ist Not! (Flying is imperative! [i.e., a necessity], 1928). 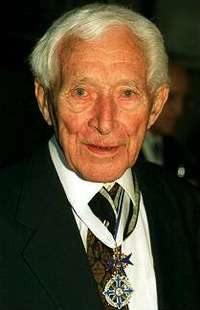 In 1985, to mark Jünger's 90th birthday, the German state of Baden-Württemberg established Ernst Jünger Prize in Entomology. It is given every three years for outstanding work in the field of entomology. Ernst Jünger was in accordance with the holder of the 'Pour le Mérite' the last recipients of honorary olds . § 11 of the law on titles, medals and decorations from the year 1957. Jünger's works were edited in ten volumes in 1960–1965 by Ernst Klett Verlag, Stuttgart, and again in 18 volumes by Klett-Cotta, Stuttgart in 1978–1983, with four supplement volumes added posthumously, 1999–2003. The Sämtliche Werke edition is now partially out of print (out of print as of December 2015: vols. 6, 7, 10, 15–18), and was re-issued in 2015 in paperback (ISBN 978-3-608-96105-8) and epub (ISBN epub: 978-3-608-10923-8) formats. A selection from the full collected works in five volumes was published in 1995 (4th ed. 2012, ISBN 978-3-608-93235-5). The following is a list of Jünger's original publications in book form (not including journal articles or correspondence). Klett-Cotta edited Jünger's correspondence with Rudolf Schlichter, Carl Schmitt, Gerhard Nebel, Friedrich Hielscher, Gottfried Benn, Stefan Andres and Martin Heidegger in seven separate volumes during 1997–2008. Ernst Jünger, Rudolf Schlichter: Briefe 1935–1955, ed. Dirk Heißerer. Klett-Cotta, Stuttgart 1997, ISBN 3-608-93682-3. Ernst Jünger, Carl Schmitt: Briefe 1930–1983, ed. Helmuth Kiesel. Klett-Cotta, Stuttgart 1999, ISBN 3-608-93452-9. Ernst Jünger, Gerhard Nebel: Briefe 1938–1974, eds. Ulrich Fröschle and Michael Neumann. Klett-Cotta, Stuttgart 2003, ISBN 3-608-93626-2. Ernst Jünger, Friedrich Hielscher: Briefe 1927–1985, eds. Ina Schmidt and Stefan Breuer. Klett-Cotta, Stuttgart 2005, ISBN 3-608-93617-3. Gottfried Benn, Ernst Jünger: Briefwechsel 1949–1956, ed. Holger Hof. Klett-Cotta, Stuttgart 2006, ISBN 3-608-93619-X. Ernst Jünger, Stefan Andres: Briefe 1937–1970, ed. Günther Nicolin. Klett-Cotta, Stuttgart, 2007, ISBN 978-3-608-93664-3. Ernst Jünger, Martin Heidegger: Briefwechsel 1949–1975. eds. Simone Maier, Günter Figal. Klett-Cotta, Stuttgart, 2008, ISBN 978-3-608-93641-4. Alfred Baeumler und Ernst Jünger: Mit einem Anhang der überlieferten Korrespondenz und weiterem Material. eds. Ulrich Fröschle und Thomas Kuzias. Thelem Universitätsverlag, Dresden 2008, ISBN 978-3-939888-01-7. Ernst Jünger – Albert Renger-Patzsch. Briefwechsel 1943–1966 und weitere Dokumente. eds. Matthias Schöning, Bernd Stiegler, Ann and Jürgen Wilde. Wilhelm Fink, Paderborn/München 2010, ISBN 978-3-7705-4872-9. The bulk of Jünger's publications remains untranslated, but some of his major novels have appeared in English translation. In Stahlgewittern:	Basil Creighton, The Storm of Steel. From the Diary of a German Storm-Troop Officer on the Western Front. London: Chatto & Windus (1929). Das Wäldchen 125: Basil Creighton, Copse 125: A Chronicle from the Trench Warfare of 1918. London: Chatto & Windus (1930). Auf den Marmorklippen:	Stuart Hood, On the Marble Cliffs. London: John Lehmann (1947). Der Friede: Stuart Hood, The Peace. Hinsdale, IL: Henry Regnery Company (1948). Afrikanische Spiele, Stuart Hood, African Diversions. London: John Lehmann (1954). Gläserne Bienen: Louise Bogan and Elizabeth Mayer, The Glass Bees. New York: Noonday Press (1960). Annäherungen. Drogen Und Rausch: 'Drugs and Ecstasy' in: Myths and Symbols. Studies in Honor of Mircea Eliade, eds. Joseph M. Kitagawa and Charles H. Long. Chicago and London: The University of Chicago Press (1969), pp. 327–42. Aladdins Problem: Joachim Neugroschel, Aladdin's Problem. New York: Marsilio (1992). Eumeswil: Joachim Neugroschel, Eumeswil. New York: Marsilio (1993). Eine gefährliche Begegnung: Hilary Barr, A Dangerous Encounter. New York: Marsilio (1993). Über den Schmerz: David C. Durst, On Pain. New York: Telos Press Publishing (2008). Das abenteuerliche Herz. Figuren und Capricios: Thomas Friese, The Adventurous Heart: Figures and Capriccios. Candor, NY: Telos Press Publishing (2012). Der Waldgang: Thomas Friese, The Forest Passage. Candor, NY: Telos Press Publishing (2013). Besuch auf Godenholm: Annabel Moynihan, Visit to Godenholm. Stockholm: Edda Publishing (2015). Sturm: Alexis P. Walker, Sturm. Candor, NY: Telos Press Publishing (2015). La Guerre d'un seul homme (One Man's War) (1981). Film directed by Edgardo Cozarinsky juxtaposing excerpts from Jünger's World War II diaries during his years in Paris with French propaganda films of the same period. ↑ Heimo Schwilk, Klett-Cotta, Ernst Jünger – Ein Jahrhundertleben, 2014, chapter 3. Heimo Schwilk (ed. ), Ernst Jünger: Leben und Werk in Bildern und Texten, Klett-Cotta, 2010, p. 24. ↑ Heimo Schwilk (ed. ), Ernst Jünger: Leben und Werk in Bildern und Texten, Klett-Cotta, 2010, p. 27. ↑ original casualty report, published 4 October 1916, p. 15,280. ↑ Jünger 2004, p. 119. 1 2 Helmuth Kiesel, Ernst Jünger: Die Biographie , Siedler Verlag, 2009. 1 2 3 4 Barr, Hilary Barr (24 June 1993). "An Exchange on Ernst Jünger". New York Review of Books. Retrieved 8 July 2013. ↑ Hoffmann 2004, p. vii. ↑ Garland & Garland 1997, p. 437. ↑ Bullock 1992, p. 549. 1 2 Hoffmann 2004, p. x. ↑ On pain (translation), Telos press . ↑ Peter Longerich: Jünger, Ernst, Schriftsteller. In: Wolfgang Benz, Hermann Graml (Hrsg. ): Biographisches Lexikon zur Weimarer Republik. C.H. Beck, München 1988, 164f. ↑ Hoffmann 2004, p. viii. ↑ Berndt Engelmann (1986). In Hitler's Germany. p. 239; citing Gerhard Heller, Un Allemand à Paris. ↑ Neaman 1999, p. 122-23. ↑ Buruma, Ian. "The Anarch at Twilight". New York Review of Books. Retrieved 8 May 2013. ↑ Hoffmann 2004, p. xi. ↑ Macklin, Graham D. (September 2005). "Co-opting the counter culture: Troy Southgate and the National Revolutionary Faction". Patterns of Prejudice (.pdf). 39 (3): 301–326. doi:10.1080/00313220500198292. ↑ Warrior, Waldgänger, Anarch: An essay on Ernst Jünger's concept of the sovereign individual by Abdalbarr Braun, accessed 22 December 2007. ↑ An exposition of the figure of the Anarch through citations from Juenger's Eumeswil. ↑ Laska, Bernd A (1997), 'Katechon' und 'Anarch'. Carl Schmitts und Ernst Jüngers Reaktionen auf Max Stirner (in German), Nürnberg: LSR-Verlag . 1 2 Hoffmann 2004, p. xii. ↑ Hoffmann 2004, p. xiv. ↑ Huyssen 1993, p. 5. ↑ Huyssen 1993, p. 8. ↑ Benjamin, Walter (1994), "Theories of German Fascism", in Kaes, Anton; Jay, Martin; Dimendberg, Edward, The Weimar Republic Sourcebook, Berkeley: University of California Press, pp. 159–64 . ↑ Binder, David (18 February 1998), "Ernst Jünger, Contradictory German Author Who Wrote About War, Is Dead at 102", The New York Times . ↑ Gil, Isabel Capeloa. 2010. "The Visuality of Catastrophe in Ernst Jünger's Der gefährliche Augenblick and Die veränderte Welt". KulturPoetik. 10 (1): 62–84. ↑ dazu: Detlef Schöttker: „Gefährlich leben!“ Zum Briefwechsel zwischen Ernst Jünger und Dolf Sternberger. In: Sinn und Form, 4/2011, S. 437–447. ↑ "102 år i hjärtat av Europa (1998)". Swedish Film Database. Swedish Film Institute. Retrieved 28 June 2013. Barnouw, Dagmar (1988), Weimar Intellectuals and the Threat of Modernity, Bloomington: Indiana University Press . Biro, Matthew (1994), "The new man as cyborg: Figures of technology in Weimar visual culture", New German Critique, 62: 71, doi:10.2307/488510 . Bullock, Marcus P (1992), The Violent Eye: Ernst Jünger's Visions and Revisions on the European Right, Wayne State University Press, ISBN 0-8143-2334-0 . Bullock, Marcus. "Ernst Jünger." (2000), Encyclopedia of German Literature, Volume 2 J – Z, ed. Matthias Konzett, Chicago: Fitzroy Dearborn . Garland, Mary; Garland, Henry (1997), "Ernst Jünger", in Garland, Mary, Companion to German Literature, Oxford: Oxford University Press . Garland, Mary; Garland, Henry (1997), "In Stahlgewittern", in Garland, Mary, Companion to German Literature, Oxford: Oxford University Press . Hervier, Julien (1995), The Details of Time: Conversations With Ernst Jünger, Marsilio, ISBN 0-941419-95-9 . Hoffmann, Michael (2004), Introduction, London: Penguin . Herf, Jeffrey (1984), Reactionary Modernism (Chapter Four), New York: Cambridge University Press . Huyssen, Andreas (Spring–Summer 1993), "Fortifying the Heart—Totally: Ernst Jünger's Armored Texts", New German Critique, 59: 3–23, doi:10.2307/488219 . Loose, Gerhard, Ernst Jünger, ISBN 0-80572479-6 . Mitchell, Allan (May 2011), The Devil's Captain: Ernst Jünger in Nazi Paris, 1941–1944, Berghahn Books . Neaman, Elliot Y (1999), A Dubious Past: Ernst Jünger and the Politics of Literature After Nazism, University of California, Berkeley, ISBN 0-520-21628-8 . Nevin, Thomas (1996), Ernst Jünger and Germany: Into the Abyss, 1914–1945, Duke University Press, ISBN 0-8223-1879-2 . Stern, JP (1953), Ernst Jünger, A Writer of Our Time, Studies in Modern European Literature and Thought, Cambridge: Bowes & Bowes . Strathausen, Carsten (2000), "The Return of the Gaze: Stereoscopic Vision in Junger and Benjamin", New German Critique, 80: 125, doi:10.2307/488636 . Woods, R (1982), Ernst Jünger and the Nature of Political Commitment, Stuttgart . Wikimedia Commons has media related to Ernst Jünger. Associazione Eumeswil, Florence, IT – study of Ernst Jünger's works. Jünger haus (museum), Wilflingen . "At 102 Ernst Jünger", Meaus . Ernst Jünger's works (Collection of articles), IT: Centro di studi Laruna . Petri Liukkonen. "Ernst Jünger". Books and Writers (kirjasto.sci.fi). Archived from the original on 4 July 2013.